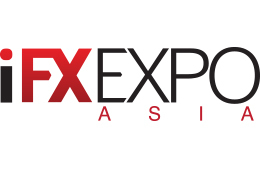 Upcoming iFX EXPO in Hong Kong: Leading Forex CEOs to Discuss "CHF Black Swan"
Towards the end of this month, the industry will gravitate towards the Hong Kong Convention & Exhibition Centre, one of the finest venues in the regional financial hub. The occasion: iFX EXPO, a joint venture by Forex Magnates and Conversion Pros, bringing together over 80 exhibitors, prominent panel speakers and a unique networking venue in the growing Asian forex space. As the event is the first high-level gathering since the unfolding CHF crisis, more and more FX professionals are rushing to sign up. 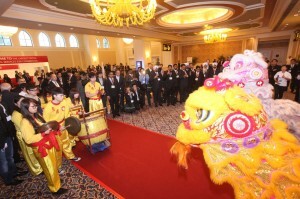 Registration has surged in the past few days reaching about 2,000 attendees eager to understand the situation, its challenges and opportunities. For this reason, the CEO panel on the 29th has been refocused to a discussion of the Swiss franc turmoil, where some of the industry’s top executives will debate the issue and its effect from the point of view of the industry. Taking part in the panel will be CEO of GAIN Capital, Glenn Stevens, CEO of Tradenext, Mohsin Jameel, CEO of FxPro, Charalambos Psimolophitis, CEO of Bullion Capital, Thomas Coughlin and CEO APAC at Saxo Capital Markets, Adam James Reynolds. All other panels will remain in their original format but naturally will also have to reflect on the matters at hand post-SNB’s decision. After a preliminary networking over drinks on the eve of the 27th, the expo will be officially opened on the 28th with an exhibition session, followed by a cryptocurrencies discussion. This panel will be targeted at providing useful know-how about what can and cannot be done with the current Asian ecosystem for payments, investing and trading in Bitcoin. The second panel will present the best customer acquisition tactics in Asia, where top Western brokers, technology and service providers who made it big will explain how you can expand your Asia market share, too. A keynote speech from Baidu, China’s dominating search engine, will complement this session by teaching attendees to optimize their online marketing campaigns in Asia with some practical advice. In order to make this year’s expo as accessible as possible for the general audience, the organizers are currently not charging any entrance fee. Free registration is still open and you should take advantage of it as soon as possible to guarantee your place. For details you can visit the conference website or email us at info@ifxexpo.com. Psimolofitis: Struggling to survive – Leading a profitable company to bankruptcy. Drew Niv: Breaking the speed of sound. 225 to zero in milliseconds.